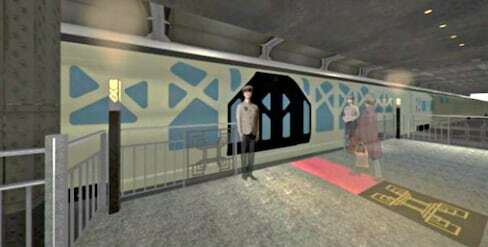 Like the Hogwarts Express, a new Japanese train is now getting its very own mysterious in-between platform. While you can stay home and do online shopping until your fingers fall off, some of the best deals to be had are out on the streets. Here are five of the best shopping streets in Tokyo, offering you everything you could ever need in the big city. We've compiled a list of some affordable accommodations that you won’t be disappointed with! Encounter the beautiful colors of nature nurtured by the four seasons. Why settle for just a plain old generic knife when you can get one engraved with a personal message? This expansive park in eastern Tokyo is one of the most popular places to enjoy cherry blossoms, and with good reason! 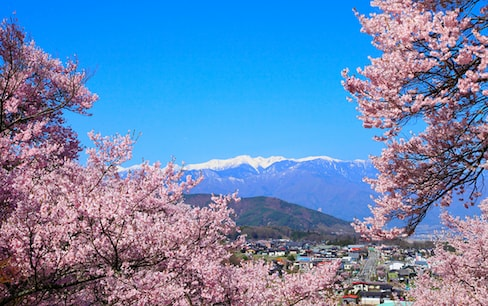 Spring in Japan goes hand in hand with cherry blossoms! If you're in Tokyo during cherry blossom season, here are 8 must-see avenues full of dreamy trees. Halloween in Japan has become bigger, but that doesn't mean you have to spend big money to enjoy it! The legendary crescent moon katana, one of Japan's Five Swords Under Heaven, is now on display and is a hit with history buffs and video gamers alike. Get to know the beauty of Japan on an 11-day, all-inclusive tour with a licensed English-speaking guide! 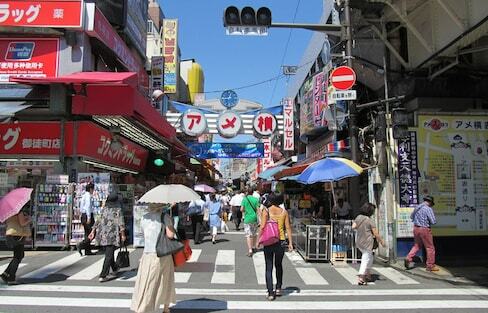 Tokyo is great for food, shopping and relaxation. But you should know there are also a handful of stellar World Heritage Sites right in the area! While Halloween may be the perfect time to visit, these four frightening themed restaurants are ready to meet your horror needs all year around. If you're up for bargain hunting in Japan's capital, there's no better place to score good deals than Ameyokocho. Before you go, check out some of the best buys you can find at one of the most popular street markets in Japan! For Muslim travelers, we know it's tough to find halal food when you’re on the road. Not to worry: here some tips on Muslim-friendly trip for you to enjoy Tokyo's autumn view at ease! Get your fill of Japan's wildest and cutest animals courtesy of these excellent zoos. Of the 17 World Heritage buildings that make up 'The Architectural Work of Le Corbusier, an Outstanding Contribution to the Modern Movement,' Tokyo boasts the only one in East Asia. Open to crossdressers, trans women and men, and guests of any gender, Bar☆Onna no Ko Club promises to be a fun space where people can easily drink, talk, make new friends, and dress up if they choose to. If you think cross-country train rides only offer magnificent views, think again. Japan, teeming with glorious natural wonders, has made moving from one prefecture to another a luxurious experience you'll never forget! These sushi portions are so big, you won't be able to fit it all in your mouth in one bite!